Hands-on learning is key in our homeschool on the ranch. STEM activities have been a fun way to add educational challenges into each month of our school year. By integrating math, and science, technology, engineering, your child will love learning with the STEM Activities, Full Year of Challenges with Close Reading from Tied 2 Teaching. Everything from a sugar cube arch challenge, an earth day STEM challenge, a paper airplane design challenge and a totem pole challenge. We received a zip file, with over 60 activity packages. This includes 12 monthly bundles, plus some building block challenges and additional STEM challenges. Each monthly bundle has 4 challenges, some of which relate to the holidays or monthly celebrations. You are easily incorporate and tie these activities into your curriculum. The materials required are often supplies that you will have available in your home, or a few that you can easily purchase at a local grocery store at a small cost. The activities are geared towards grade 3 to 6. We were easily able to adapt the activities to my son’s level of Grade 1 and we worked on one per week. The variety of activities in this full year bundle is very diverse so it is extremely easy to find challenges that will suit your child and their interests. Every challenge starts a close reading that relates to the topic. For example, we learned about lifeboats, where playing cards were invented, what marshmallows are made from, and how a suspension bridge works. By reading the close reading passages and then answering a series of questions, this helps to prepare your child for the challenge. There are worksheets that encourage your child to ask, imagine, plan, create and improve. They can also write or draw pictures to show the steps that they took to complete the challenge, evaluate their results and consider what they could improve for next time. My oldest son has been playing cards daily so our first activity was an easy first choice to review. We were able to read about the history of playing cards and then we looked more closely at the illustrations on a card deck. It was interesting to learn that the suits in a deck of cards are not the same all over the world and why jokers were added to playing card decks. Through trial and error, we were able to build a 2 storey house of cards. 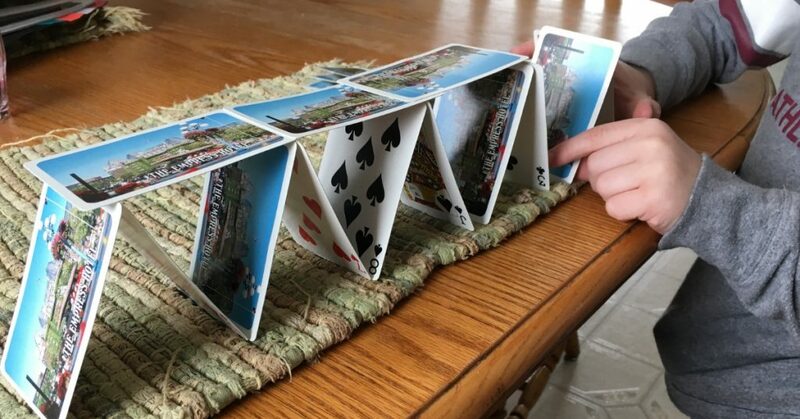 Later in the afternoon, my son enjoyed showing his grandparents what he had learned and they worked on building a house of cards together. We then took some time to talk about what we had learned, how we would improve our house for the next time and we talked about the steps that we took to complete the challenge. Another weekly STEM activity that we completed was the foil boat challenge. 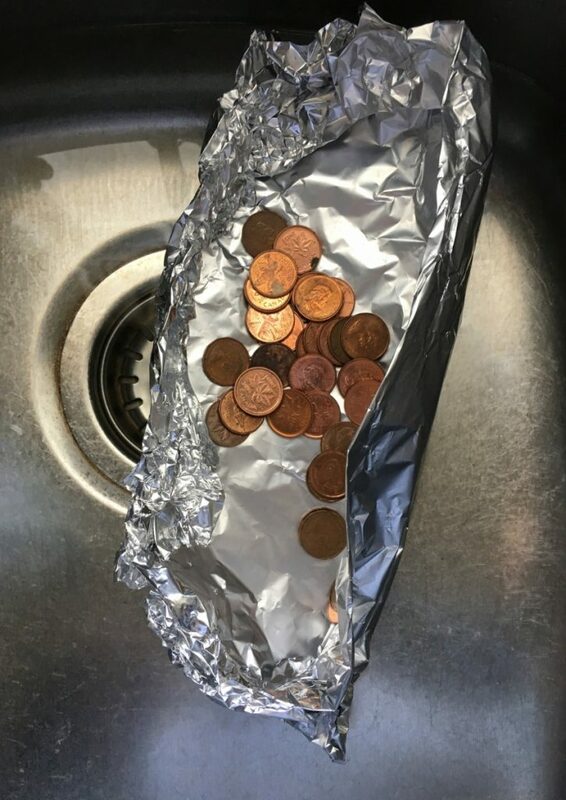 We had to design a boat that could hold as many pennies as possible using a 12” X 18” piece of foil. The close reading taught us about lifeboats and how they are used. My son not only completed the challenge but he made 3 different boats and played for over an hour at the sink trying different designs. He also drew out his plans on paper when he was trying to design a different boat that would hold more pennies than his first boat. The learning continued when one boat developed a hole in the bow so he was able to watch it sink! It was fun to watch how intrigued he was and to see how much he was learning and applying to the next design. 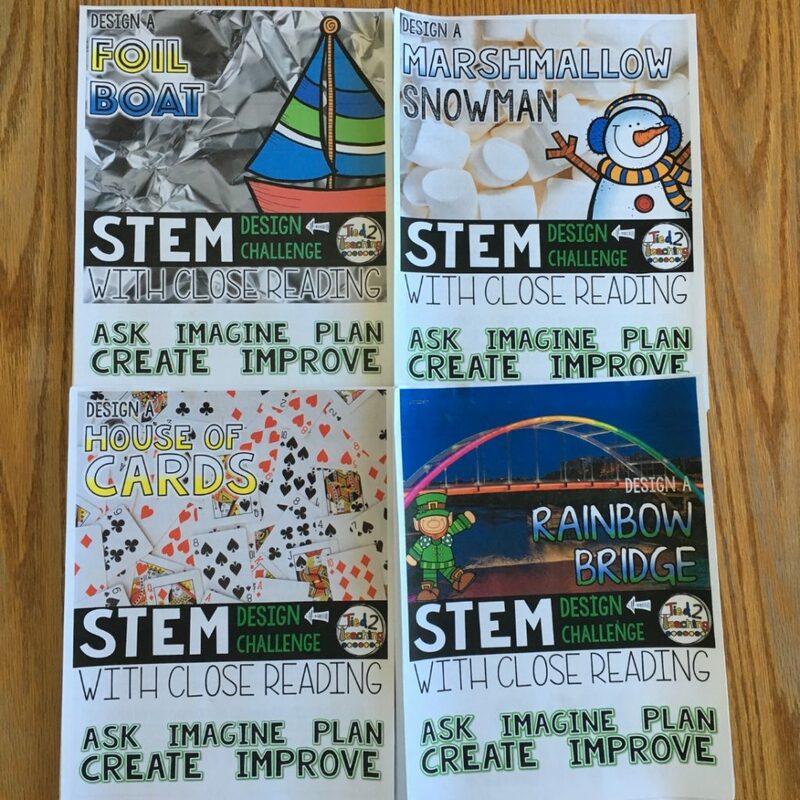 What I love most about these STEM Activities, Full Year of Challenges with Close Reading is that they can easily be used with a wide range of ages and abilities and we can even use them more than once. We will definitely continue using them this year by doing one per week. As my children get older, we will probably try the challenges again as we learn more about science, technology, math and engineering! 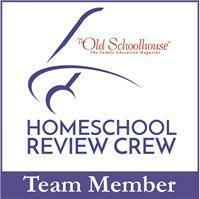 We look forward to continuing to use them in our homeschool for many years. is that they can easily be used with a wide range of ages and abilities and we can even use them more than once. We will definitely continue using them this year by doing one per week. As my children get older, we will probably try the challenges again as we learn more about science, technology, math and engineering! 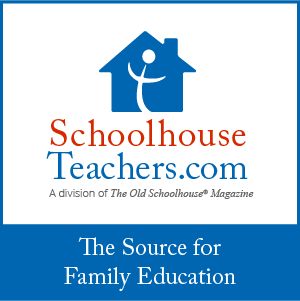 We look forward to continuing to use them in our homeschool for many years. 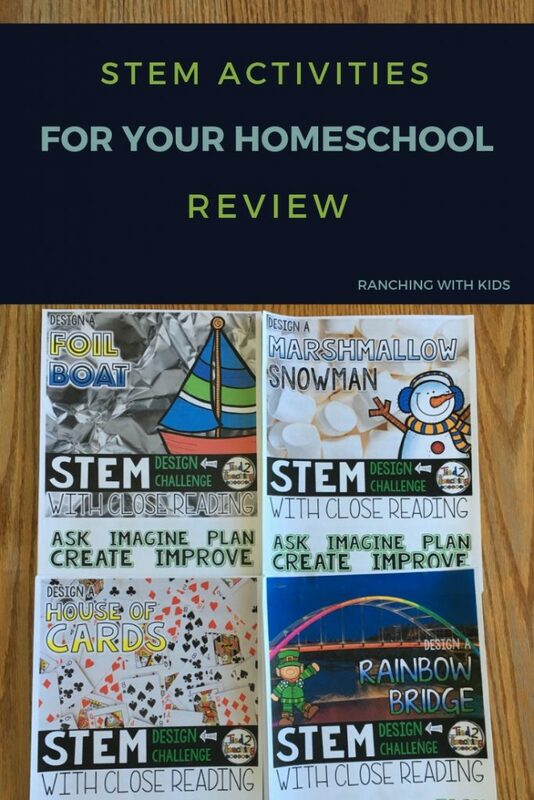 Click here to read more reviews about these great STEM Activities by other members of the Homeschool Review Crew. 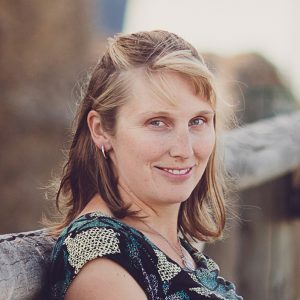 I am a homeschooling mom to two busy boys & a baby and beef cattle rancher in British Columbia. My passion in life is family and all aspects of agriculture. My hope is that this blog gives you some insight into our ranch life while being a homeschooling mom. I would love to hear from you about your journey in agriculture, raising children and/or homeschooling!! Click here to read more about me.